Bold Black PF Nitrile, Medium, Case. 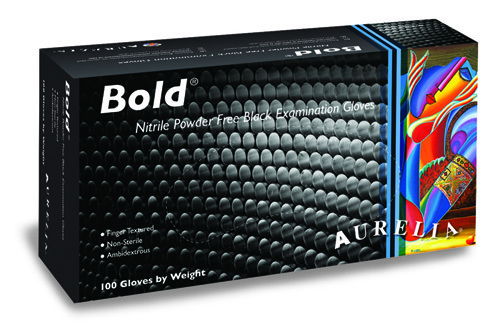 Aurelia Bold Black Nitrile (Non Latex) Powder Free Examination Gloves are made from 100% Nitrile (Non Latex), ambidextrous, black color, Finger Textured and non-sterile. Aurelia gloves conform and are tested to the highest international standards. 5 mil thickness for improved puncture resistance. Finger-textured finish for improved gripping action. 100% latex free, black color. 10 Boxes Per Case.